A couple of weeks ago I made a start to replacing my existing makeup brushes by purchasing the Real Techniques Core collection and brow and lash comb. Today I ventured down to Boots to add some new additions to my collection with my brushes of choice being the Stippling brush, Blush brush and Shading brush. 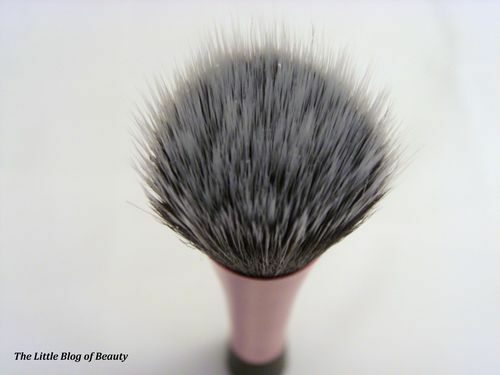 I had been using the Buffing brush for applying my liquid foundation but after reading a post by Milly on Pearls and poodles I decided to try using the Stippling brush for applying my foundation and use my Buffing brush for powder. 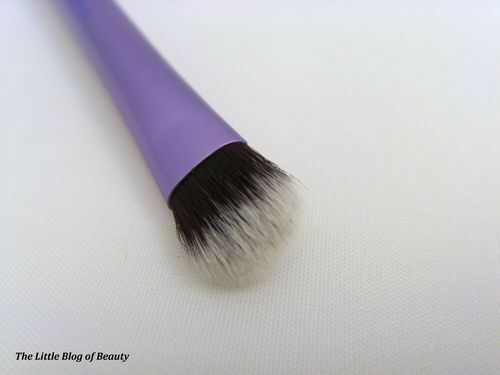 This is a slightly strange looking brush that is described as ‘the trade secret for creating airbrushed, high definition results with all types of makeup’. 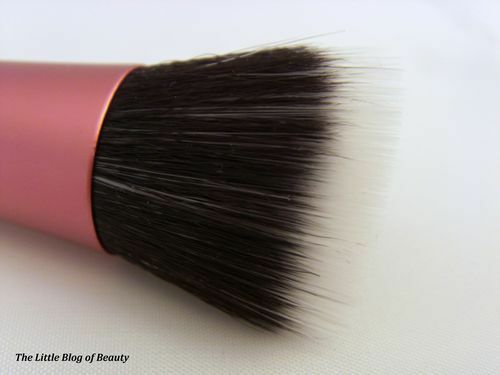 I believe this brush has shorter all dark bristles mixed with longer white bristles (my eyes just won’t focus properly on the brush close up). 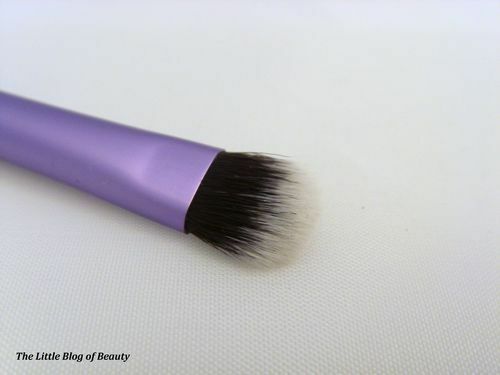 This brush is not quite as soft as other Real Techniques brushes but is still super soft and a lot softer than other brushes I have had. 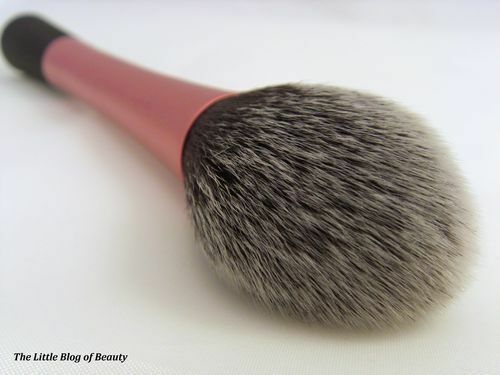 I had planned to get a new blusher brush anyway but when I was using my existing one the other day I realised just how rough this brush felt and decided it had to go sooner rather than later. 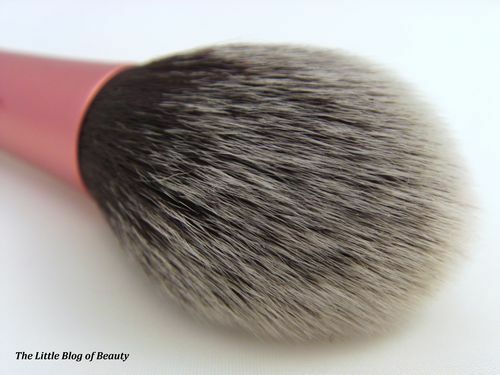 The Real Techniques Blusher brush is so unbelievably soft and has a really good sized head that should provide a good sweep of colour. To be honest there wasn’t really anything wrong with my existing eye shadow brush but I wanted all my brushes to match and as purple is one of my favourite colours I decided to get the Shading brush. 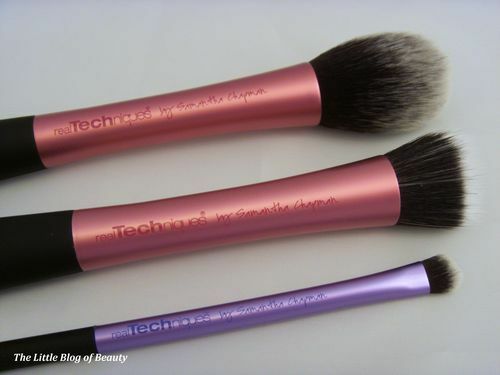 These brushes are so attractive to look at and the pink and purple colours are really pretty. In my previous post I expressed some concerns over the panoramic case that came with my Core collection. I am still concerned that some of my smaller brushes may fall out because of the open sides but I am now also concerned that some of the larger brushes may get squashed out of shape when the case is folded up. I think the panoramic case is a great idea as a display stand for your brushes but for travelling I think I will be purchasing another makeup bag or brush roll. 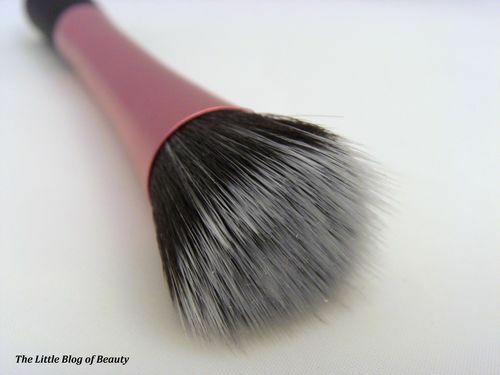 Another problem I have is that I sometimes use an angled eye liner brush to line with eye shadow. I am aware that Real Techniques do a fine liner brush but I would prefer a wider brush than this. Does anybody know if they do one that I just haven’t found yet? 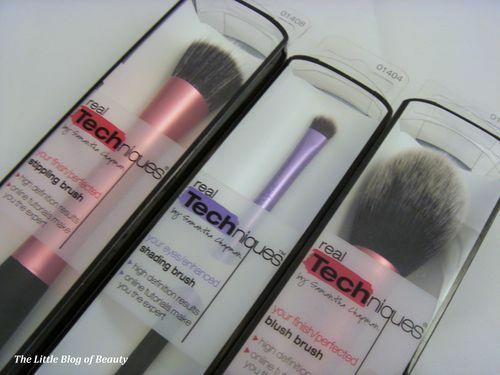 Real Techniques brushes can be purchased in Boots stores and from the Boots website.